Still, Empire State Development (ESD), the state agency overseeing/shepherding Atlantic Yards, and developer Forest City Ratner are close-mouthed and not fully candid about the second–but not quite final–round of eminent domain. 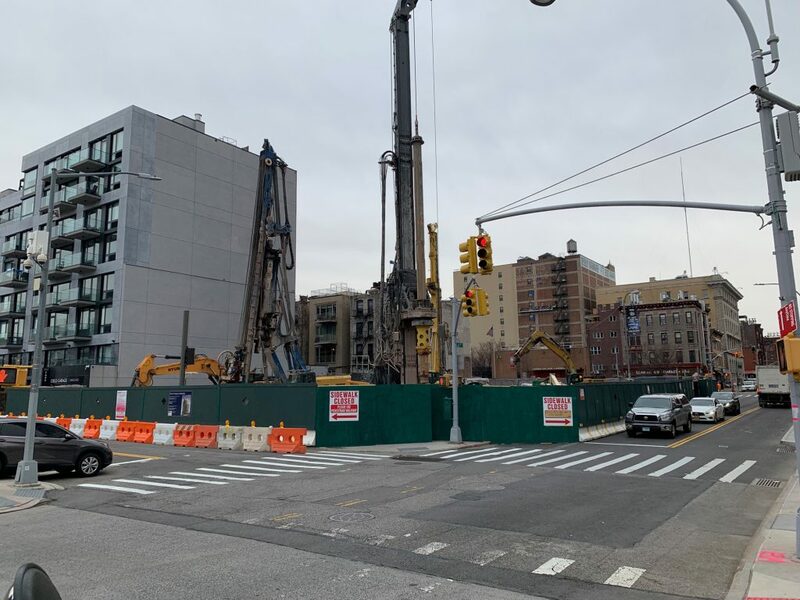 The state recently has begun the condemnation process for three homes and three businesses across Sixth Avenue from the arena, between Dean Street in Atlantic Avenue. Eminent domain has already been approved; the issue now is compensation and possession, so the first step is asking property owners to accept a visit by an appraiser, a prelude to an offer, which later can be litigated. 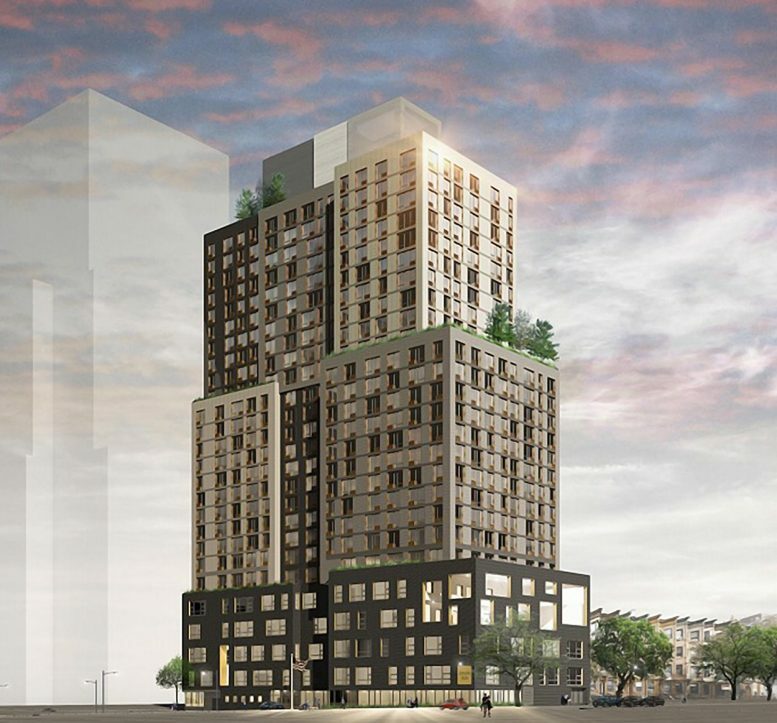 The reason for condemnation, according to ESD, is to facilitate work at the railyard and also construction of the 272-foot B15 tower between Pacific and Dean streets east of Sixth Avenue. But only the railyard work has a schedule. As for when the tower will be built–who knows? There are several already-cleared sites available for construction, on both the arena block and also the southeast block, now used for interim surface parking. So I’d bet the properties are being taken because 1) Forest City Ratner’s new joint venture partner, the Chinese government-owned Greenland Group, finally has the cash to pay the owners and 2) a larger cleared site is needed for staging to assist construction across the street, on the arena block. After all, that 100-foot-wide piece of land was initially supposed to be used for interim surface parking and staging while four towers were built simultaneously with the arena–a plan that was later abandoned. In other words, this piece of land was not needed to somehow “cure” blight anomalously located at one rectangle. It was to have a crucial role in construction. New York has begun condemnation proceedings on seven properties located within the Atlantic Yards development zone that will become the future site of market-rate and affordable housing, new court records show. Last month, the state’s Empire State Development Corporation filed an eminent domain petition in Brooklyn Supreme Court, asking for a judge to determine compensation for the properties’ owners. The agency plans to seize three residential buildings, 495, 493 and 491 Dean St., according to the Aug. 20 court filing. It also seeks a vacant lot at 37 Sixth Ave., a commercial building at 25 Sixth Ave., a StorageMart facility at 728 Atlantic Ave., and 700 Atlantic Ave., a century-old industrial facility that a real estate investment firm purchased in 2012 for $7 million, the court filing shows. New render on site but nothing going on yet. Was there any recent news on this? I walked by a few days ago and the site was still as dead as it has been for the last 1-2 years. I would assume not much will happen since most of this development area is majority owned by Greenland? Not entirely sure. However, I would assume so. It is next on the JV’s “docket” so to speak. In a breakthrough at the slow-moving Pacific Park project, big-league New York developers TF Cornerstone and the Brodsky Organization are taking control of three major sites from the 22-acre complex’s current owners, a joint venture dominated by Greenland USA, a subsidiary of Shanghai-based development giant Greenland Group, The Post has learned. Brodsky principal Dean Amro said its site at 664 Pacific St., would be the first new Pacific Park project to rise. “We hope to start construction in the first quarter of 2019,” he said. The building will include some 300 rental apartments, about 30 percent of them affordable, atop a new middle school. This is now under construction. Work has begun at 37 Sixth Avenue in Prospect Heights. The 26-story building is designed by Marvel Architects and developed by the Brodsky Organization.